Over two days, from the 7-8 June, the 2018 London Concours welcomed nearly 30 sponsors and exhibitors, 5,200 guests and more than 120 of the rarest and most incredible cars in the world. Run for only the second time – with the debut event in 2017 – the rapidly growing concours doubled the number of sponsors and attendees, while also boosting the number of cars on display by 50%. Targeted at the local population of City professionals, London Concours proved to be a huge success for all our exhibitors. Numerous premium and performance cars were sold, alongside luxury watches, a number of test drive requests and sell-out bars. 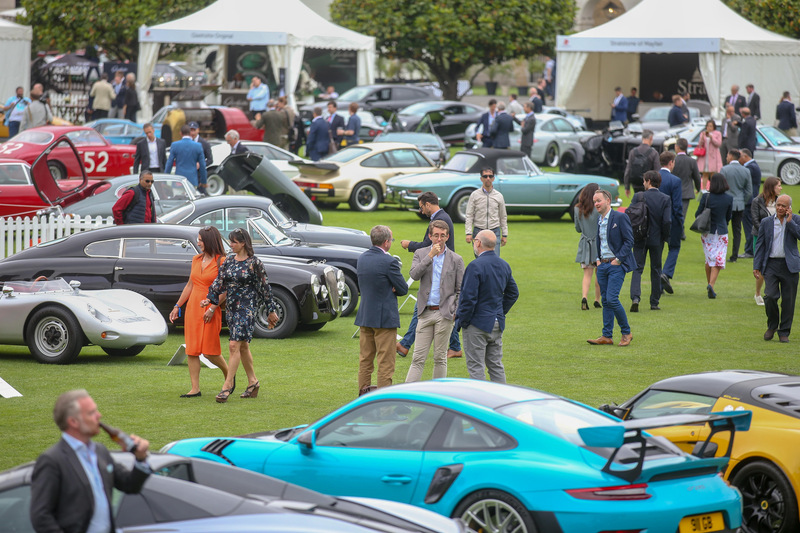 Once again, the Honourable Artillery Company Gardens proved to be the perfect venue, with its perfectly kempt lawn, central location and envious history more than a match for the collection of vehicles displayed within. And what a collection it was. Our Best of Show-winning Fiat S76 ‘Beast of Turin’ headed almost directly from the show to be displayed in the rotunda of London’s Royal Automobile Club, giving this 28.5-litre behemoth pride of place in a genuine London institution. Special mention must also go to all the other vehicles on display – many were driven or transported to the venue at great expense and inconvenience to their owners, and the show simply wouldn’t have worked without them. So, from the London Concours team, a heartfelt thank you to the owners of the cars, and thank you to our sponsors and the visitors for supporting us. We look forward to seeing many of you again in 2019.